We’ve all been affected by them. These days, they’re as certain as death and taxes. Unlike taxes and death however, most botnets are avoidable. Here’s a primer and some helpful information about how to steer clear of them. 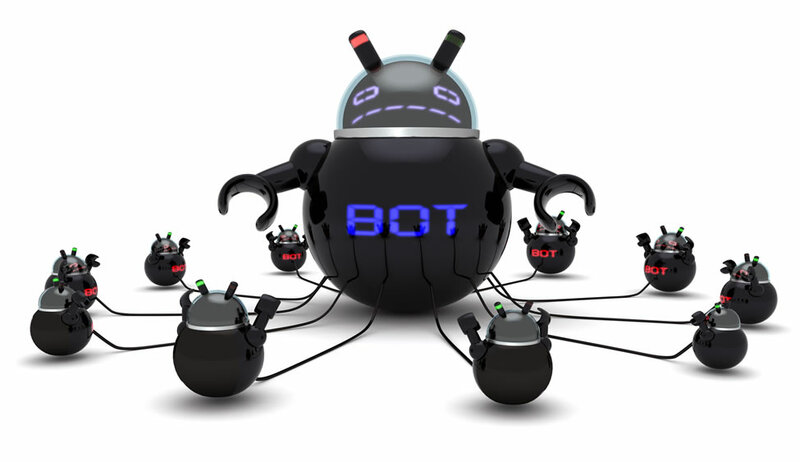 A botnet is a collection of devices, connected to the Internet which can be used to execute coordinated computing tasks for various, usually criminal tasks. 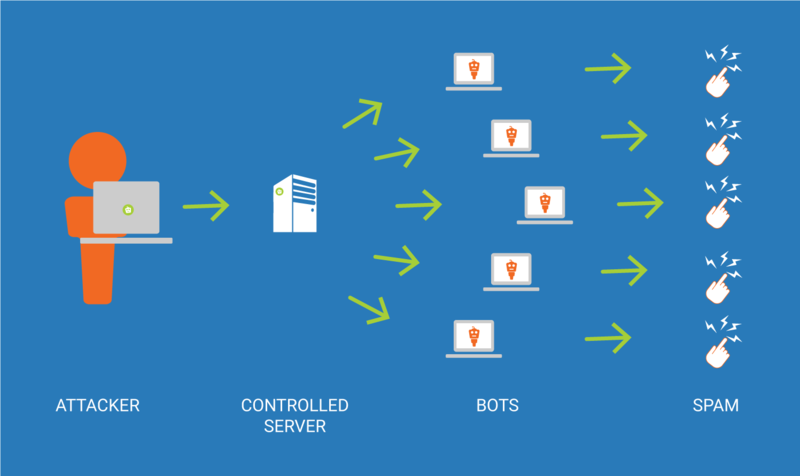 Botnets are typically created through malware/virus deployment such as email, infected websites or devices vulnerable to hack/injection. Extortion – We will take your website down unless you pay $$$. Virtually everyone and every device connected to the internet can be targeted by a botnet. Lack of education: End users have never been trained properly on what to do and what not to do on the Internet. Lazy people: People may know but they are too lazy to do what is required to ensure security. Experts who provide bad service: Systems left not updated and vulnerable. Poorly secured hardware: Hardware vendors not spending enough time securing and maintaining/updating hardware. Security is no longer an option. If you use an open-sourced CMS (WordPress, Drupal and Joomla are the biggest examples) keep the systems up-to-date by applying the latest patches – especially if they are security updates. Have a security audit done of your website. Older websites were written using the best coding practices of their day, but if your custom website is over 5 years old, chances are that you’ve got some outdated, or even vulnerable code. The good news is that if you update your code you won’t just make your site safer, you’ll likely make it faster too! If you sell items on your site, or if your site gets lots of traffic or is ‘mission critical’ to your business, consider using a firewall service that will protect the site from hackers, spam, SQL Injections, DdoS Attacks, etc. while allowing legitimate traffic to safely access your site. All the anti-virus protection in the world won’t protect you if you don’t educate yourself about safe email and browsing practices. Here’s a good test, provided by OpenDNS . We’d be happy to come in and do some staff training; we can even make it fun! 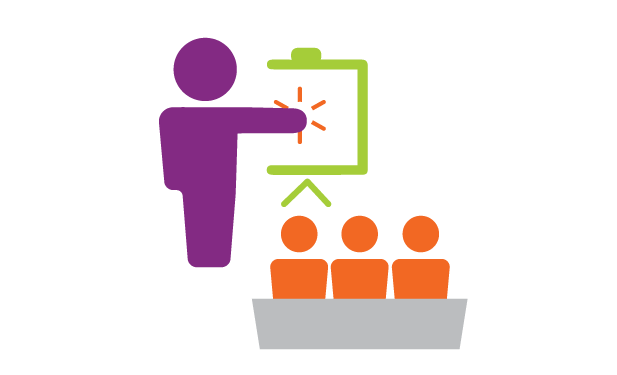 Partner with experts. We use the best solutions available to help our clients. Our passion is to connect people through design and technology. And with today’s technology in place and a little education, we can help you connect to your audience safely.